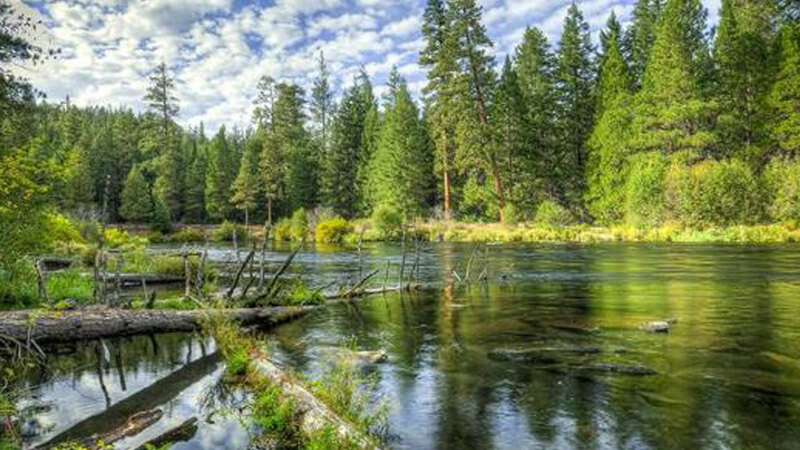 Nestled amongst towering Ponderosa Pines with the Metolius River meandering next to it, Allen Springs Campground is a tranquil, shady family spot with numerous hiking and biking trails nearby. The facility has 16 sites and the circular shape of the campground means most of the campsites are better suited to tents than RVs. On-site amenities include: garbage cans, host site, pay station, picnic area and vault toilets. Each site is equipped with a picnic table and fire pit but Allen Springs is a no water campground so campers will need to bring their own supply. Campers are asked to gather and burn firewood near their campsites to prevent the spread of invasive species. Allen Springs is open year-round with minimal services during the off season; camp fees are reduced during the winter and early spring seasons. The camping fee includes entry for one vehicle and one legally towed vehicle. Any extra vehicles will be subject to an extra vehicle fee at the campground. Pets are welcome so long as they are picked up after and kept on leashes, both in the site and on wilderness trails.